Opal releases Gold card for seniors. Posted November 6, 2014 by Lucia Osborne-Crowley & filed under City News, Featured City News. The NSW Government last week announced that pension rates will be available on all Opal cards beginning Monday, November 3. The pensioners’ card, called the Gold Opal, will cap transport fees at $2.50 per day. 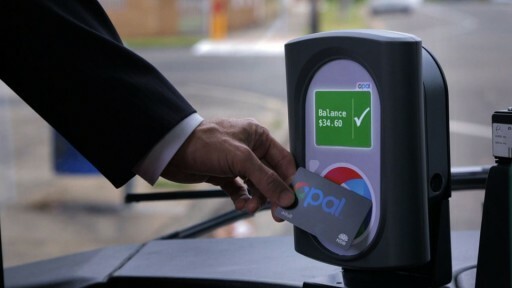 “The new Gold Senior/Pensioner Opal card means eligible customers won’t pay more than $2.50 a day for travel on trains, buses, Sydney Ferries and light rail when it is rolled out,” said Transport Minister Gladys Berejiklian. While pensioners and seniors have welcomed the addition of the Gold Opal, they remain concerned about the ease of access of the Gold card and of the Opal system in general. “Pensioners welcome today’s announcement that they will be able to get a Pensioner Opal Card and pay no more than $2.50 per day for their public transport”, said Charmaine Crowe, Senior Advisor Research & Advocacy at the Combined Pensioners and Superannuants Association of NSW. The CPSA has requested that the NSW Government remedy this problem immediately. “CPSA calls on the NSW Government to ensure that top-up facilities are available at all train stations so that pensioners are not caught out when they go to travel”, said Ms Crowe.